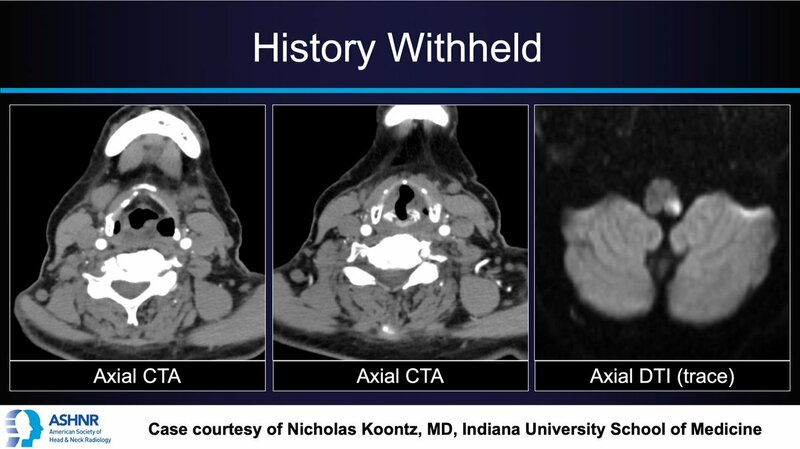 The American Society of Head and Neck Radiology (ASHNR) is an independent professional society, founded in Chicago, Illinois on November 12, 1976. The society was the outgrowth of an on-going annual post- graduate course headed by Dr. Galdino Valvassori of Chicago. His “permanent” co-faculty for eight years preceding the formal organization of the society included Drs. William Hanafee (Los Angeles), Daniel H. Johnson, Jr. (New Orleans), and Guy D. Potter (New York.) These four individuals formed the original core group of the ASHNR. The society was incorporated under the laws of Louisiana on March 18, 1977 and sponsored its first post-graduate course on Radiology in Otolaryngology and Ophthalmology in Los Angeles, California in May, 1977. The purposes of the society include: advancing knowledge, stimulating interest, promoting research, and improving methods of Head and Neck Imaging, as well as hosting the premier Head and Neck Imaging meetings for the presentation and dissemination of Head and Neck Imaging knowledge, while fostering the continued development of Head and Neck Imaging as an art and science. During its more than three decades of existence it has enjoyed a friendly and collegial relationship with a number of other professional medical societies, both national and international, hosting joint annual meetings, symposia, etc. We believe such relationships are mutually beneficial to our various member constituencies and will continue to pursue such a policy in the future. Our administrative support is contracted from the American Society of Neuroradiology. The ASHNR provides a Councilor Representative to the American College of Radiology. Our official journal is the American Journal of Neurorardiology, published by the American Society of Neuroradiology. We are grateful to all of these organizations, their officerships, and their administrative staffs for their continued support, help, and good will.